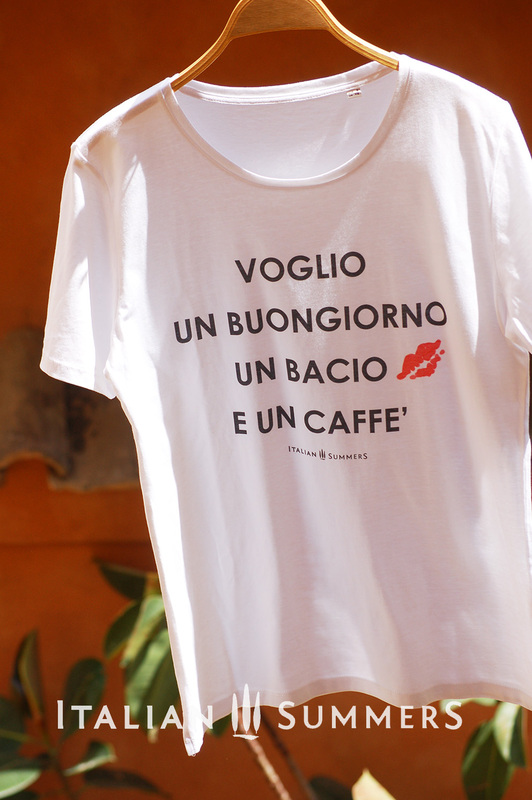 What else do you need when a sweet Buongiorno is whispered in your ear, followed by a kiss and a good espresso? Mmmhhh!.. make that every morning please! T-shirt white. Available in 3 models, 3 prices: Organic cotton Unisex Tee, Premium boatneck, and premium sleeveless. Get your favorite model in the box below! 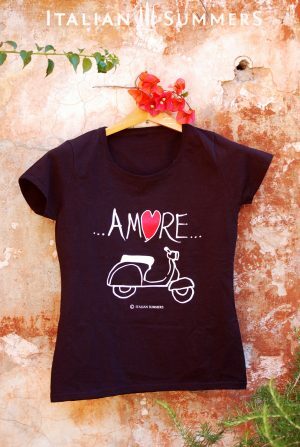 We love good-looking t-shirts!!! 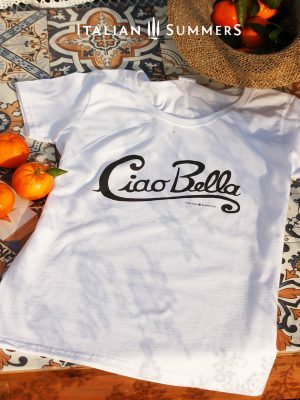 And we love Italy… so, when visiting various Italian towns, it has always been a real challenge to find nice Italian-theme shirts in the many boutiques and souvenir shops that mostly sell tourist-junk made anywhere else but Italy! 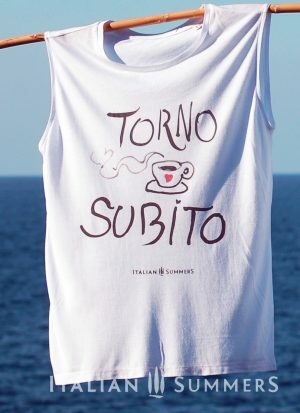 That’s why we started to design and produce our own Italian Summers shirts: we wanted to be able to hold, feel and wear all of the beautiful tees we could imagine! 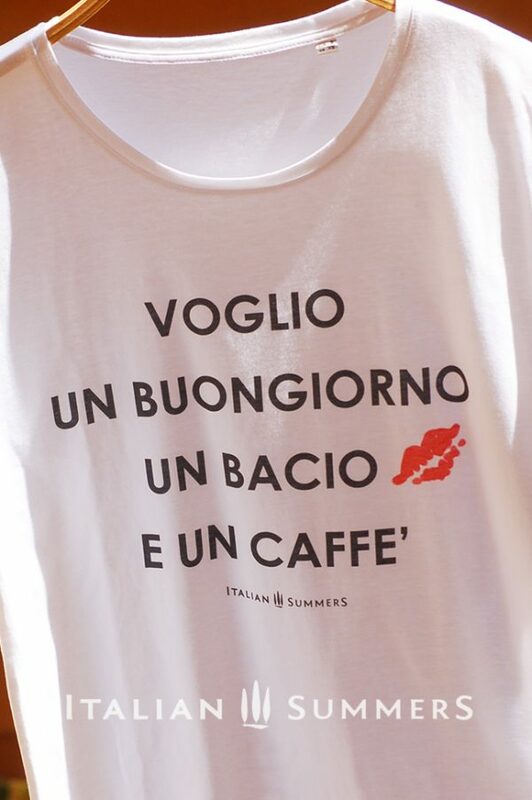 Have a great Italian Summer!